I’m stranded on a desert island, filled with pretty things to wear, all in my favourite colour. It was a Spring teaser. 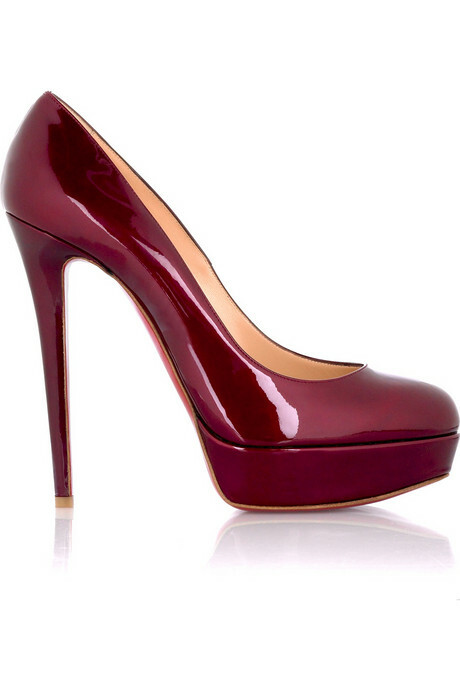 Then came the Louboutins. But now that Jenny from the (Upper East) block has literally fallen on her Louboutin assets while singing about them, we may have to declare the era of the red sole Ovah, with a screaming thud and a capital O! 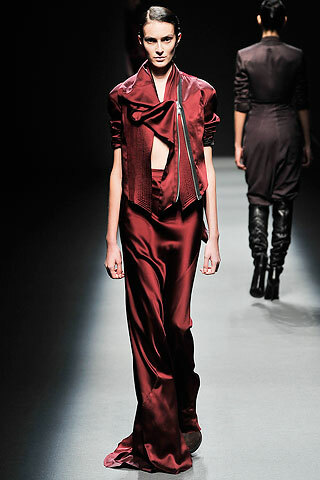 Like a fine, French Bordeaux at Nada, FW09. At Nada, the mood darkened but our spirits heightened. Classic bordeaux. Who could resist it? Certainly not I. And not Mila – wearing Monique L’huillier at the 2009 Emmy Awards, standing far apart from the LBD masses. Mila Kunis opting for more than a little black dress at the Emmys. Photo by Matt Sayles/AP. 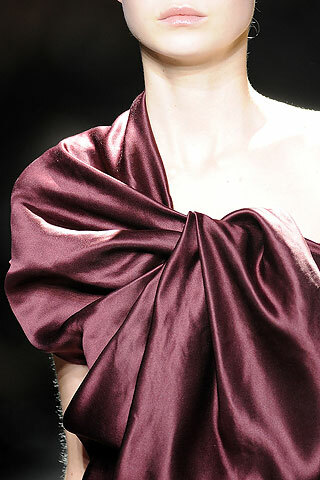 However, perfection is when liquid maroon silk drapes every inch, like this divine dress by Haider Ackerman. Even when worn head to toe, there is no monotony in maroon, my dears. It’s just plain mah-vellous. Image sources: Lanvin and Ackerman photos, Louboutins, Mila photographed by Matt Sayles/AP, Nada runway shot by Angela Y. Martin.